The sheer amount of creative work that J.J. Abrams produces never fails to amaze me. Most people are lucky if they create one or two great television shows, or a handful of great movies over the course of a lifetime. Abrams' biography adds up to the work of a dozen people, and now he has a book under his belt. It's been a while since I have been this excited for the release of a new book. I spend so much of my time researching the things that digital can do that print cannot, that I sometimes forget about the reverse. 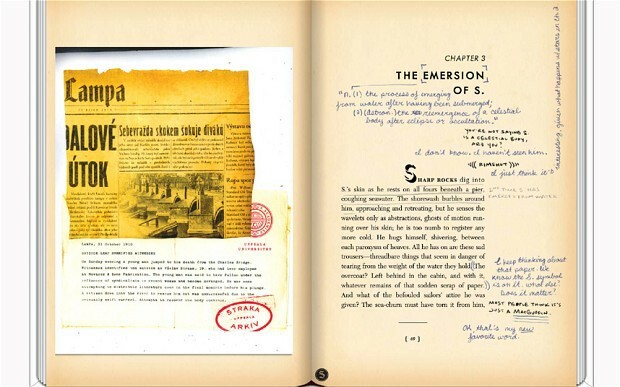 What can a print book do that digital cannot? This book, cryptically called S., is doing all of it; it simply could not exist in digital form and I couldn't think of a better person to push the limits of print than Abrams. (According to Wired there is a digital and audio version, but I can't imagine how it would function, and frankly, I don't really want to look at it.) 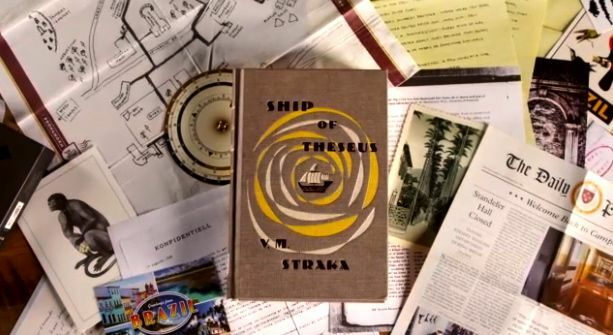 Abrams worked with writer Doug Dorst on the book, and they have created a mysterious, beautiful text that includes marginalia, postcards, newspaper clippings, pull-out pieces, and maps, all of which are meant to help us decode the mystery of the book. Fans of Lost (and puzzles, generally) will not be disappointed. This book reminds me a bit of The Selected Works of TS Spivet in that it is very tangible and beautifully produced. In fact, I would love to know what the (presumably) astronomical production cost of this book actually is. The care that went into the design of the book is impressive; the marginalia is actually handwritten, not a script font. 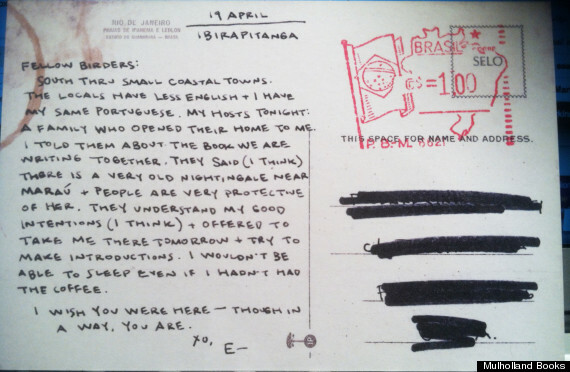 In an interview with Slate, Dorst says the writing is his: "I did Eric's notes in my everyday awful handwriting, and I did Jen's by slanting my everyday awful handwriting 30 degrees. I went through three bottles of Wite-Out, too." Though this begs the question: Can marginalia be reproduced? Isn't the point of it to stand as a one-of-a-kind response to a book? But this, I suppose, is true of all commercial art. Personally, I don't feel that reproduction damages the integrity of a thing, but perhaps the point of the book isn't to be one-of-a-kind, but rather to simply offer a new kind of reading experience. What intrigues me most about this book, though, is the level of attention it requires. It's not a particularly difficult book to read, but it does require the reader to pay attention. When I am teaching, I am often reminded of the fact that my students' average attention span is about twenty minutes. Although I see some benefit in forcing them to focus for more than twenty minutes at a time, I often find myself chopping up my class into smaller bits and pieces so that they don't get bored. But, I'm not totally convinced that my students (or anyone for that matter) have actually lost their attention spans. I think we just divide our attention in different ways, and there is often no sense of purpose to our work. We are online reading, watching, or listening...but for what reason? We have become a culture of generalists, and I wonder if this book might have the power to focus our attention and give us more purpose.